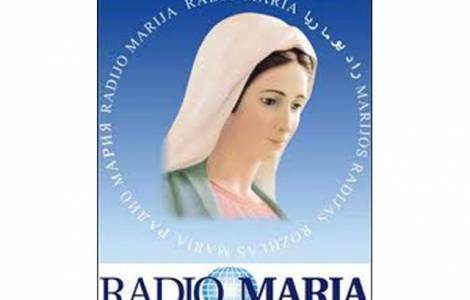 Erba (Agenzia Fides) - Radio Maria, an Italian Catholic radio station established in 1982 at Arcellasco d'Erba (Como) which today broadcasts in more than 50 countries and in as many languages, will begin programmes in Arabic via web on December 8 to mark the Feast of the Immaculate Conception and the opening day of the Holy Year of Divine Mercy. The initiative, part of the World Family of Radio Maria , aims to offer a concrete sign of solidarity and comfort to Christians living in all Arab speaking countries . “Radio Maria in Arabic” the radio’s director Fr Livio Fanzaga wrote on the web “is a concrete and efficacious way of helping our persecuted brothers and sisters, whose ancient roots are precious for our faith”. The programmes can be heard on the web site www.radiomariam.org. For information please write to info.arab@radiomaria.org (GV) (Agenzia Fides 3/12/2015).